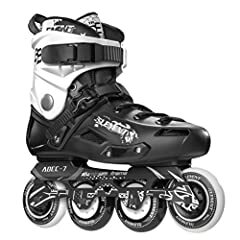 The 5th Element ST 80 Urban Inline Skate features 80mm wheels and ABEC 7 bearings. The ST 80’s are perfect for that intermeiate to advanced skater looking to progress. Whre can Iind parts for replacement? How to untie the bottom strap?